NAKMAS has added Instagram to its social media platform, and our press and media team are working closely with Instagram in order to raise the NAKMAS public awareness on this platform. Also, the NAKMAS national chair, alongside, the press and media officer, are currently undertaking external training relating to Instagram. NAKMAS has some exciting news to share over the coming weeks/months, so stay tuned! Kerry-Anne Frith, an 18-year-old with Asperger's Syndrome from Broadstairs in Kent, has received the second of the awards for her outstanding coaching talents in karate. 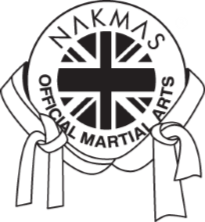 NAKMAS is becoming increasingly concerned about the safety and wellbeing of children who attend a martial arts school accredited and recognised by the NAKMAS National Governing Body. The concern relates to children being dropped off outside of a venue by parents or guardians assuming that the martial arts class is running. This may not be the case, due to class cancellation or perhaps whether the instructor is running late for the class or has had an incident en-route to the class. NAKMAS is committed to process any personal information it holds only in ways that are fair, transparent and meet its legal obligations; in other words, in accordance with the Data Protection Act and its successor the General Data Protection Regulations. NAKMAS will take care over email addresses which in addition to the GDPR are subject to the Privacy and Electronic Communications Regulations (PECR). We have also updated some of our forms to fulfil our legal obligations for ongoing consent: affiliation application, student and instructor licence forms, so far. Please use the forms from the downloads section of our website rather than old copies. The DBS packs also now include an additional form for consent. Guidelines for instructors are included in this pack, along with a sample form which can be used in your clubs, and a form of consent which needs to be completed and returned to us before the deadline of 25 May 2018. We also recommend a training module with Educare which is certificated, gives a CPD point, and can be done online for a low cost in approximately an hour. This is easy to understand and will give you a general overview of GDPR. This can be found at https://www.educare.co.uk/courses/an-introduction-to-the-general-data-protection-regulation should you wish to do this. The website and social media feeds will be updated as we get information and with any changes of documentation. The NAKMAS Afffiliation Application Form (NAK008), Instructor Licence/Insurance Form (NAK012) and the Student Licence/Insurance Application Form (NAK011) have been updated to ensure GDPR compliance. These forms are now online ready for use. Other documentation will soon be available to ensure GDPR compliance. "Through your campaigning, you have encouraged thousands of children with autism to get involved in sports and recreation activities outside of the classroom. You have used your own experiences to promote greater inclusion for the next generation, and you should be proud of what you have achieved."